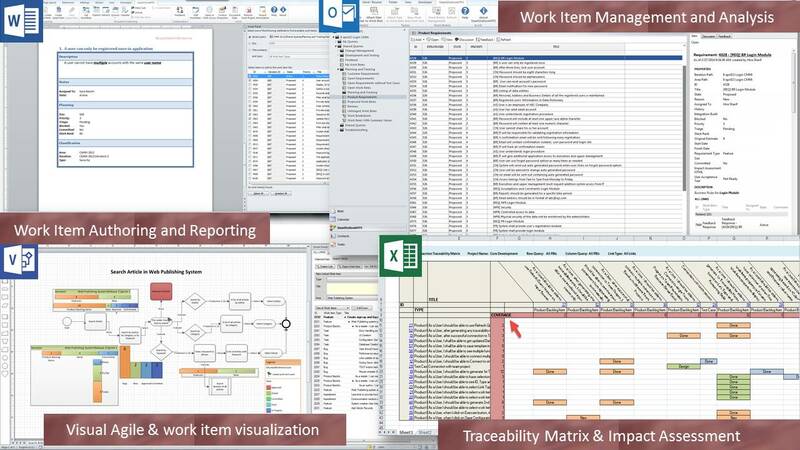 eDev’s SmartOffice4TFS™ gives development teams a great option for requirements gathering and creation of software specs using familiar Microsoft products, and connecting those documents to the projects they define. With SmartOffice4TFS™ suite, simple yet powerful plug-ins for Microsoft Office tool-sets, development teams can more efficiently create and manage Team Foundation Server work items from within Microsoft Word documents, Visio diagrams, Excel spreadsheets and Outlook emails. With SmartOffice4TFS™ intact, challenges such as non-centralized, redundant requirements, out-dated requirements specifications, communication gaps, isolated stakeholders and training stakeholders for new & unfamiliar tools, can easily be furnished as SmartOffice4TFS™ enables all project teams to collaborate without learning any new tools while keeping all the requirements specifications centralized, singular and consistent throughout the project.